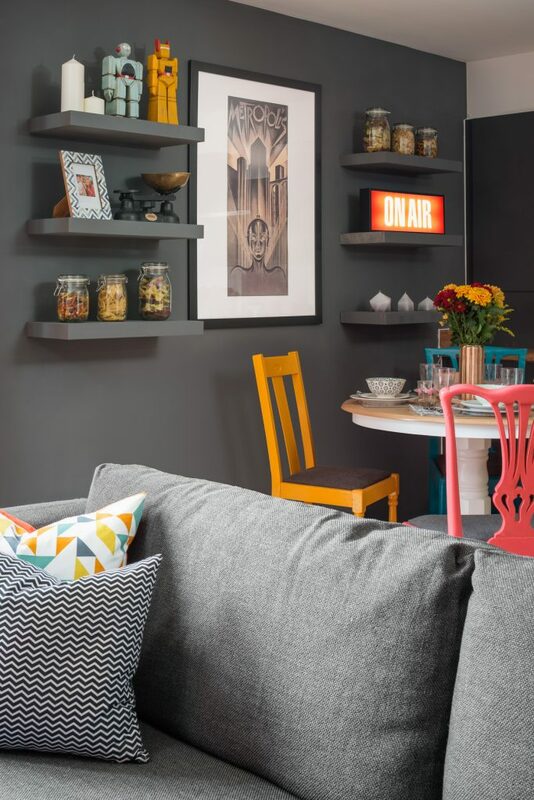 The brief was for an eclectic statement room which felt cosy and inviting in the evening and bright and bold during the day time. 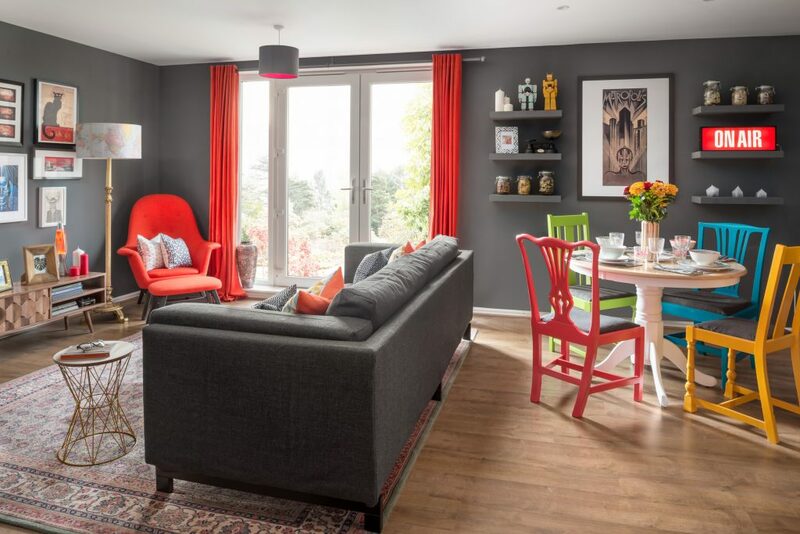 The large open plan room was painted a deep warm grey allowing for pops of colour to be added throughout. 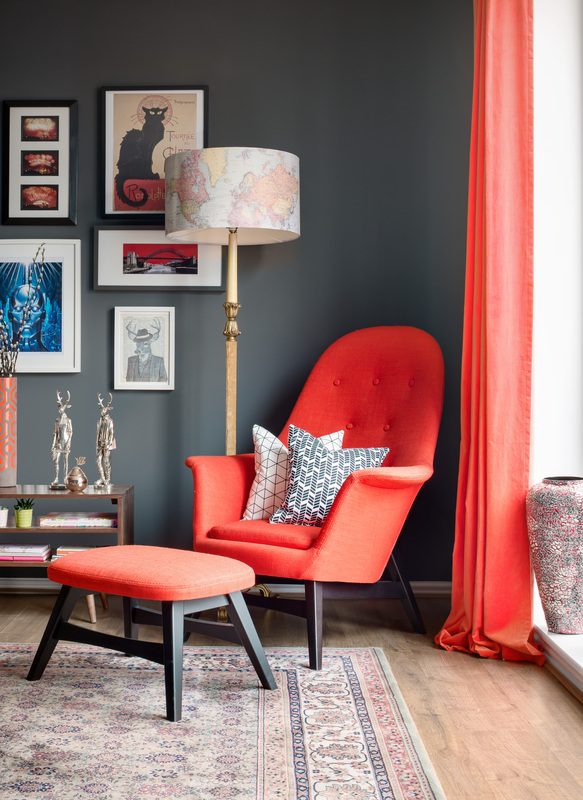 A gallery wall and bright orange chair and curtains break up the grey. 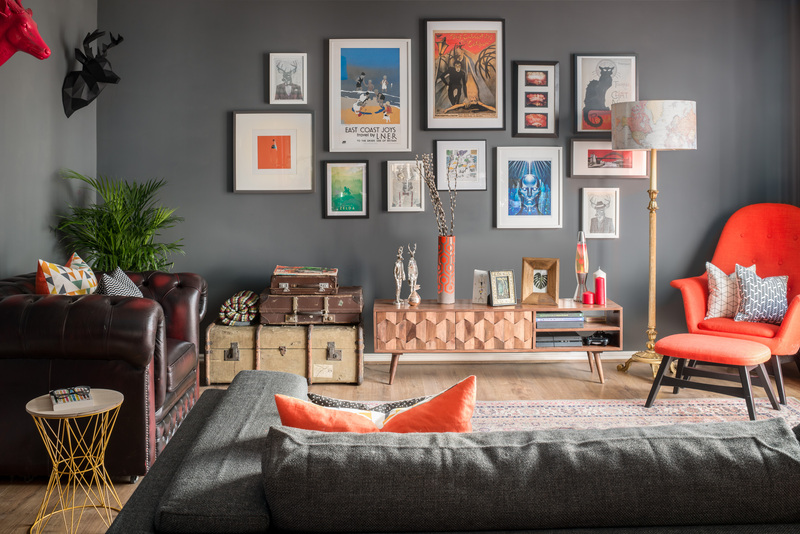 There is a real mix of new and modern furniture as well as classic vintage and reclaimed pieces. 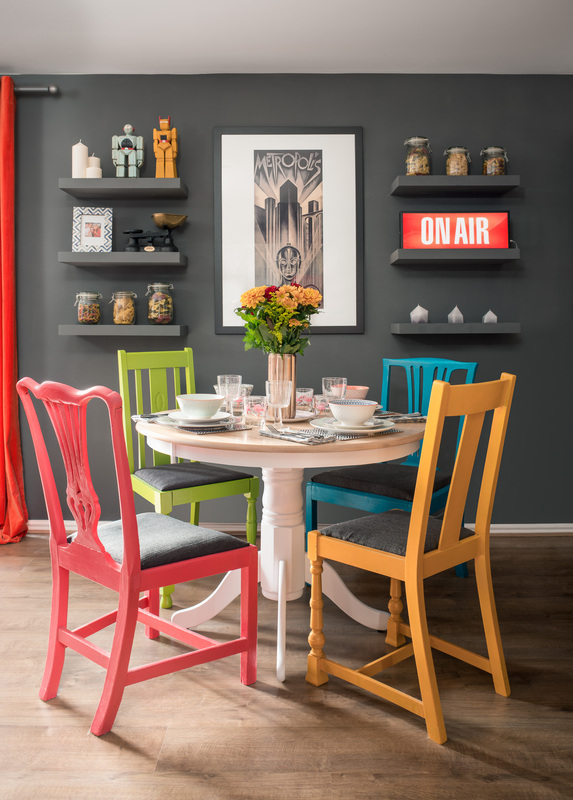 I sourced the dining chairs from salvage yards and antiques shops, painting them in bold bright colours and reupholstering the seat pads in a dark grey. 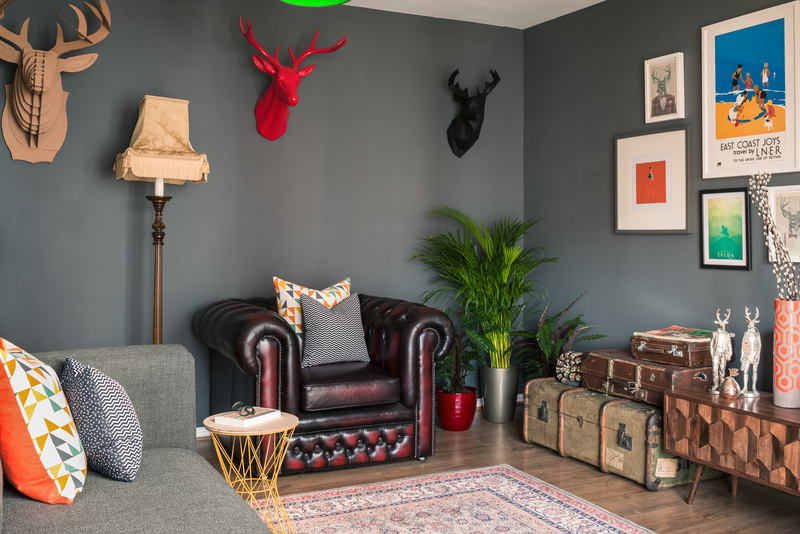 The mix of old and new gives this room a real eclectic feel, and makes it a fun and exciting room to be in.